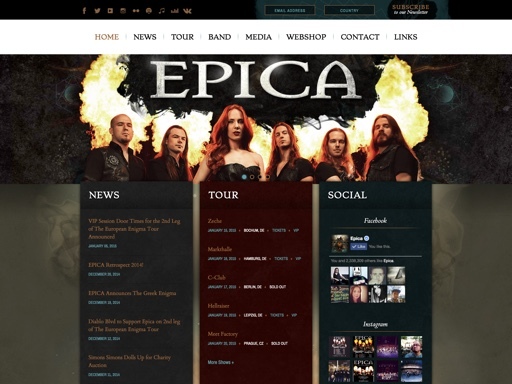 The Content Management System for unique band website design. Create and manage the unique website your band deserves! Your music deserves to be heard but your fans can’t find you if you’re scattered across half the Internet. Stage gets your message out to your fans so more people show up at your shows, buy your music and order your merch. Stage brings your website to life and lets you update it yourself without breaking a sweat - lab coat- wearing scientists developed this Content Management System for musicians to take care of their own websites easily. 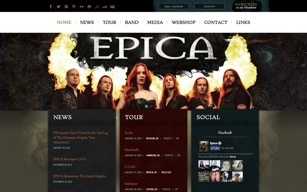 Manage your Band Website’s content easily with our CMS. Edit all your content, with just a few clicks. 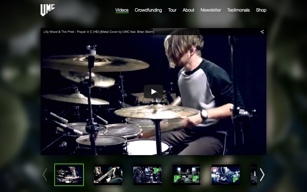 Keep fans in the loop about album releases, upcoming gigs and band updates – front and center on your landing page. Maintain a record of past tours. Keep the conversation flowing with your followers, build relationships and trust. Drive traffic to your site with news, announcements and blog posts. Easily schedule and tag posts. Effortlessly embed audio, video and interactive photo galleries throughout your site. 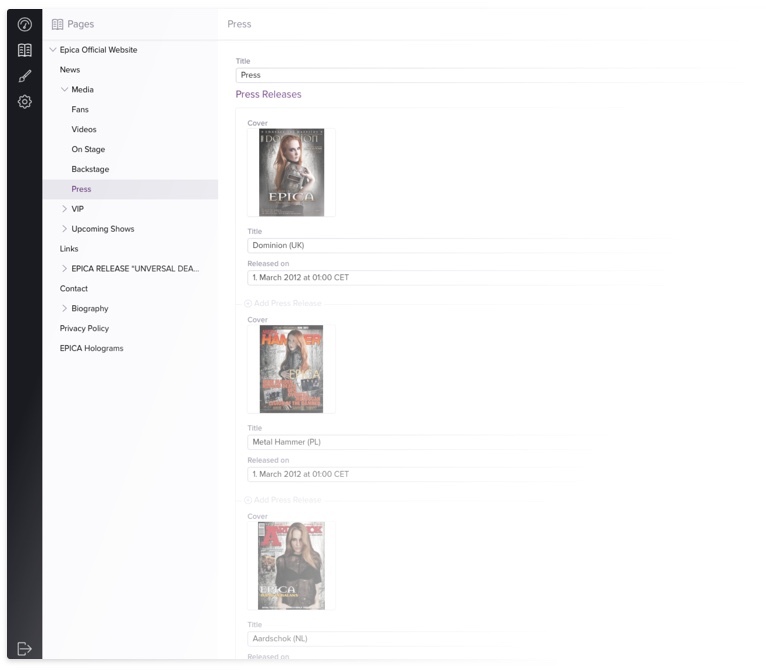 Allow visitors to download free content on the spot. Seamlessly pull updates from your Facebook, Twitter, Instagram and Flickr accounts for impactful and efficient posting. 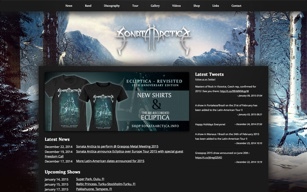 Bring your vision to life - with a unique band website! Fully customisable, so you’re only limited by your imagination. Get your website up and running in no time by working with our design experts. They will design, craft, and optimise your website for desktop and mobile. You’re never boxed in by one theme. Your site can be tailored to your branding and functionality, keeping you in control. Thanks to a clear distinction between content and design, the look and feel of your site can be regularly updated, without needing to rewrite anything. Check out some of our customers and what they’re saying about us.